Watching Big Sky Conference football on television is not for the casual fan. It takes the patience of a true football junkie, or at least one of the schools' students or alumni, to search out games on obscure cable networks, or tolerate non-HD pictures in an era when it's actually harder to find televised sports not delivered in hi-def than ballgames that are. On Saturday, though, Eastern Washington's second-ranked Eagles got what amounts to royal treatment from the media powers, a daytime slot delivered on the HD-friendly regional ROOT network for their game against Northern Arizona. Of course, after witnessing the disastrous end of the game, Eagles fans might have preferred a media blackout. At risk of pulling the scab off a fresh wound for Eagles fans, the game in a nutshell came down to the last minute. 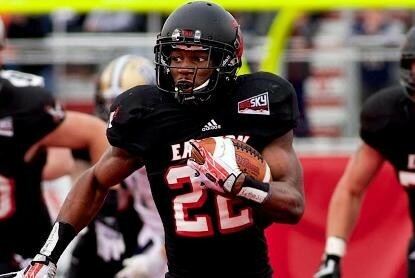 EWU was seemingly in control, mainly thanks to a monster day by running back Quincy Forte, who returned from an injury to reel off a career-high 219 yards rushing the ball. The Eagles were leading 27-22 and facing a 4th-and-3 on the NAU 23 yard line with 47 seconds left to play. A field goal could have put the Eagles up eight, forcing NAU to drive the length of the field, score a touchdown AND convert a two-point conversion just to force overtime. Instead, and somewhat inexplicably considering kicker Tyler McNannay was 2-for-2 on the day in field goal attempts, Eagles coach Beau Baldwin decided to try for the first down, and the long pass toward the end zone fell incomplete. Three plays later, NAU had scored a touchdown via one short run and two long passes, and EWU's 14-game conference winning streak was history. While the loss is certainly disappointing due to the "snatching defeat from the jaws of victory" ending, Eagles fans can take heart that the team is still in fine position as it waits for the return of injured star quarterback Vernon Adams Jr. They have two sold-out home games coming up, versus North Dakota and Montana, before finishing the season at Portland State. The Big Sky standings are top-loaded with one-loss teams, including the Eagles, but their high ranking — even with a tumble to No. 6 overall post-NAU meltdown — virtually assures them a playoff spot if the Eagles win out. 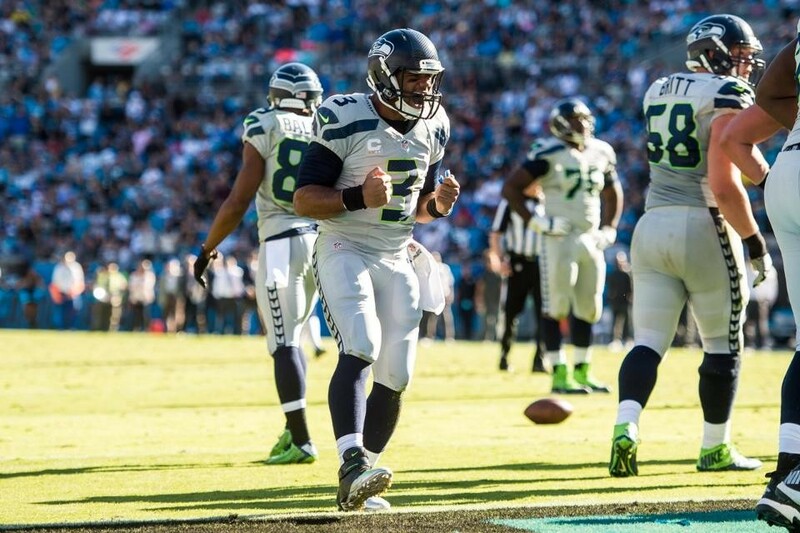 SEAHAWKS REMEMBER HOW TO WIN! Rolling into a road game with Carolina "boasting" a two-game losing streak, controversy in the locker room and the very real threat of falling under .500 for the first time in a couple years, the Seahawks uglied-up their way to a win. You might have noticed Jim the copier repairman at your office has a bit more bounce in his step this Monday. That would be why. Russell Wilson (naturally) rallied the team with a touchdown drive in the last five minutes of the game to squeak out a 13-9 win, and yes, it was as scintillating to watch as that score would indicate. As Hawks fans are used to by now, the defense was stellar, the special teams pretty special, and the offense did just enough to get a win. With two patsies coming to Seattle for home games the next couple weeks in the winless Oakland Raiders and the clueless New York Giants, the Seahawks might just get up to full cruising speed around mid-season. You can watch highlights from the game right here — it won't take long. If Cougars fans didn't start watching the game against Arizona from the start, there's little chance they tuned in after catching the score in progress. The Cougars fell behind 24-0 in the first quarter, and it never got more interesting from there. We hate to pile on, but the Cougs seem lost right now. Maybe coach Mike Leach should spend more time finding a defense, and less time with his diary.